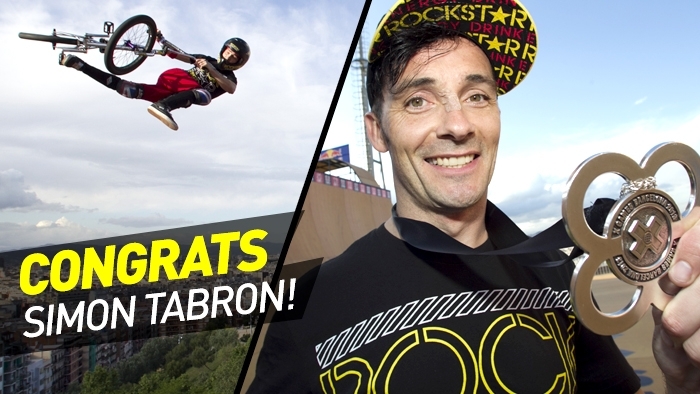 Congratulations to Simon Tabron on taking silver in BMX Vert at X Games Barcelona! Tabron almost unseated 7-time BMX Vert champion, Jamie Bestwick, with a tied score of 91.00, but ultimately the tiebreaker gave the edge to Bestwick (the five judges' scores from the top-scoring runs are averaged to break a tie). Tabron will have to wait until 2014 to once again take on the now 8-time champion, as BMX Vert will not be contested at X Games Munich or X Games Los Angeles this year.